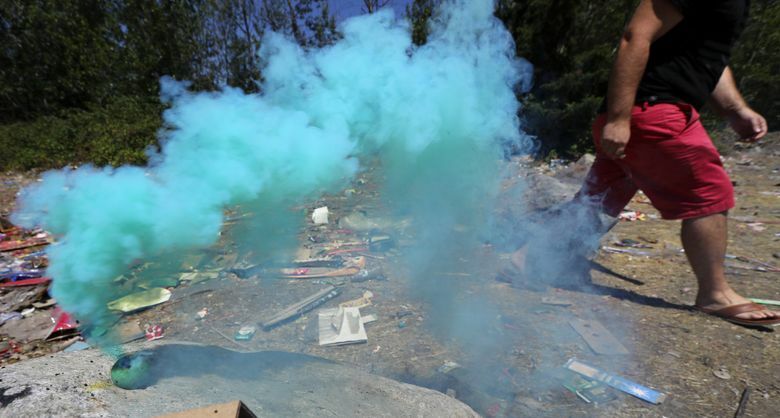 Seattle Police and Fire departments are encouraging residents to leave fireworks to the professionals and go to public displays. There are 16 firework display events in King County alone. 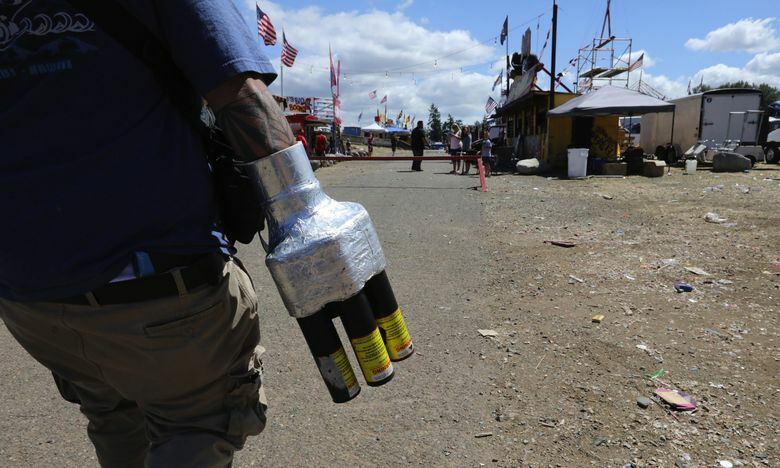 Booms echo through the Muckleshoot Indian Reservation’s fireworks mall, where booths show off inventions like the “Arm of Thanos,” which allows users to launch five artillery shell tubes from their arms, and “Jay’s Mega Blaster,” a bundle of Roman Candles with 368 shots. Andrew Holmes, from North Bend, said he spends $500 every year at Muckleshoot buying the “loud stuff”— artilleries, cakes and rockets — that he can’t get off the reservation because of state law. “I come for the adrenaline rush,” he said, while stomping out a fire caused by the rocket he altered, then blew up. 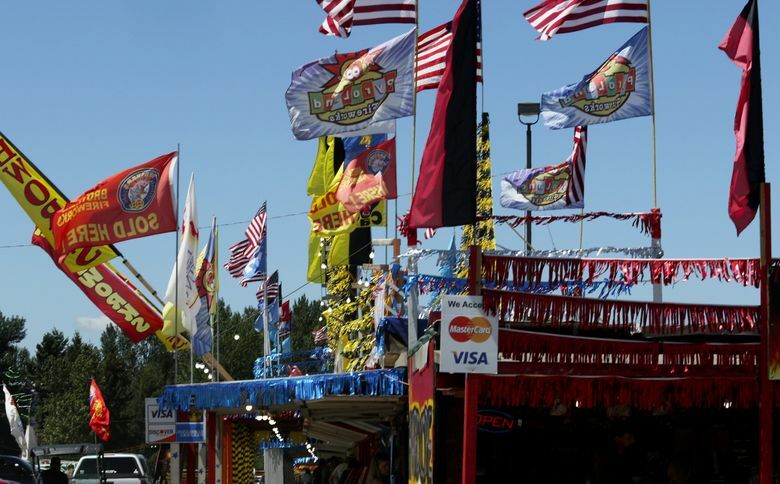 Fireworks are a multibillion-dollar industry. 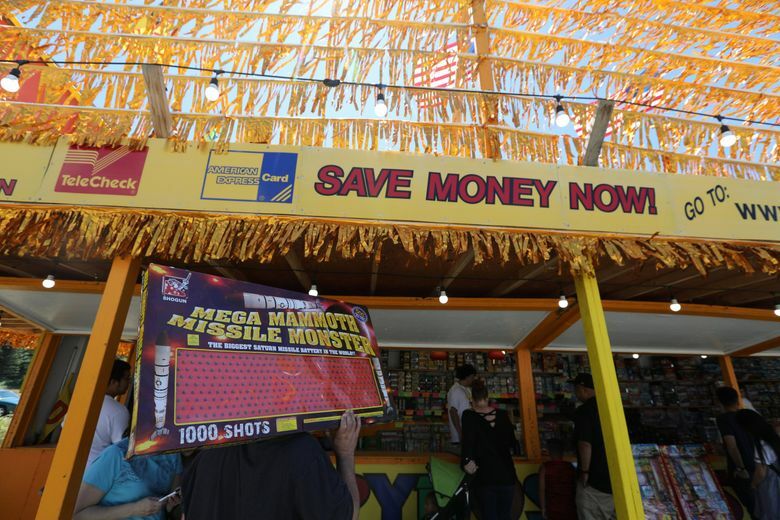 Last year, firework sales produced an $885 million profit, according to the American Pyrotechnics Association, an industry advocacy group. But they’re banned across many cities in Western Washington. Detective Mark Jamieson from the Seattle Police Department said all fireworks are illegal in Seattle, with the exception of ones that don’t have a fuse, like Pop-Its. 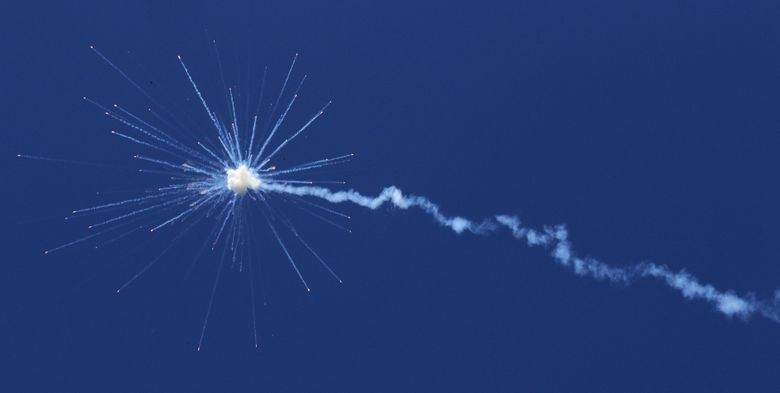 “If it goes boom, then it’s not allowed in the city,” Jamieson said. He said while sparklers are technically not allowed, he doubts most people have a problem with kids using them. 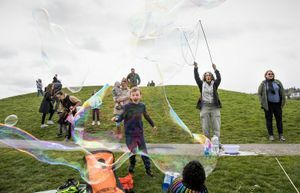 The Seattle Fire Department noted that around one-quarter of emergency-room fireworks injuries come from sparklers, according to the National Fire Protection Association. Jamieson said police know people will still light fireworks, but those who are caught could face up to $5,000 in fines. Those who want to light off fireworks themselves should go to places where it’s allowed, he said. 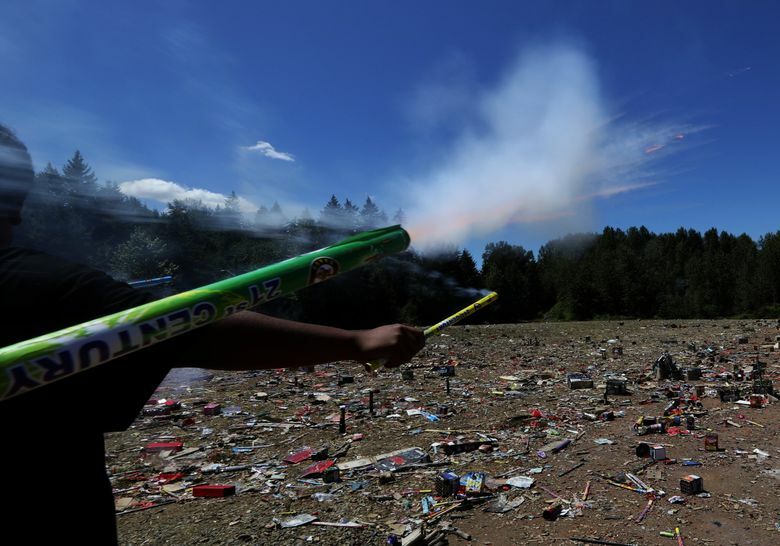 In King County, Auburn, Bothell, Covington, Duvall, Enumclaw, Mercer Island, Normandy Park, North Bend, Pacific, Skykomish and Snoqualmie permit the sale and discharge of fireworks within their city limits. 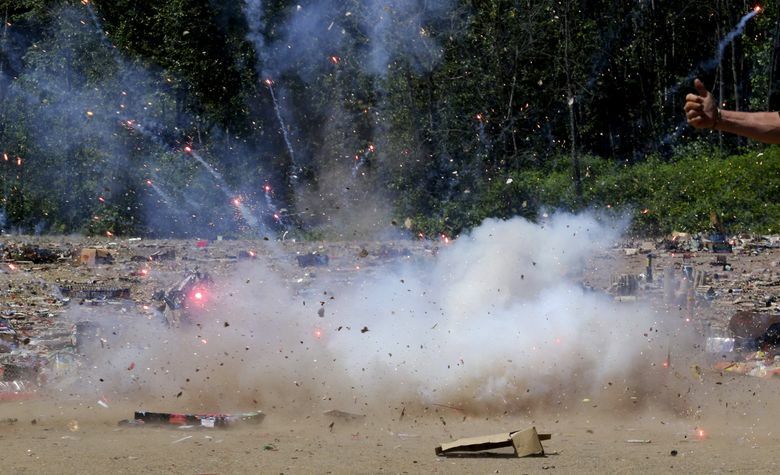 The Washington State Patrol has a chart online with the county and city firework regulations statewide. While the dazzling lights against the night sky on Independence Day can be mesmerizing, fireworks can be dangerous and create chaos. 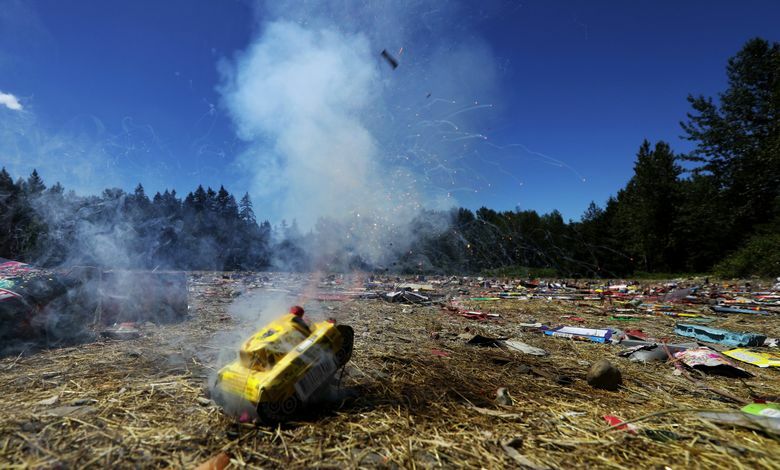 There were 262 firework-related injuries last year, an 11 percent increase from the past 10-year average, according to the Seattle Fire Department. 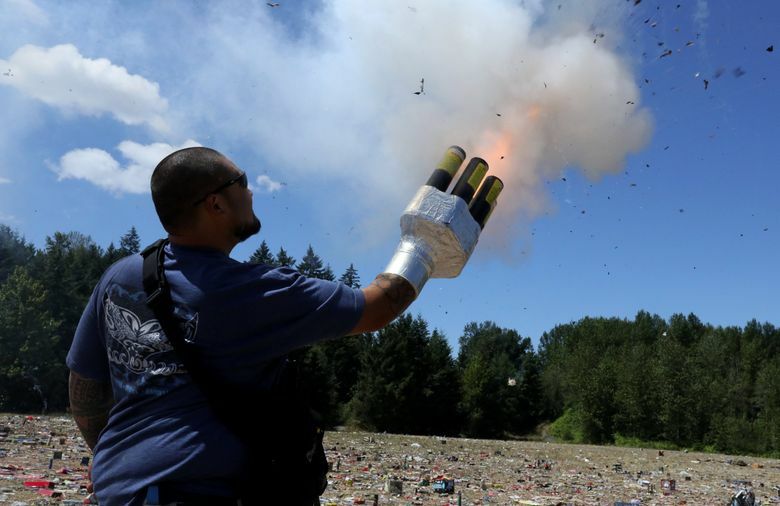 In 2017, Seattle firefighters responded to 100 fireworks-related incidents in the first eight days of July, including 37 on July 4. Harborview Medical Center is doubling its emergency staff for the Fourth of July. The Seattle Animal Shelter is closed on July Fourth but is ready for the fallout. The days following the holiday are some of the busiest of the year because the loud bangs can freak animals out, said Executive Director Ann Graves. “On average we get two to three times the amount of dogs in the following couple of days,” she said. She recommends pet owners who lose their dogs on the holiday use social-media forums to find them, and have updated information on their animal’s microchips. A detailed list of what to do can be found on the Seattle Animal Shelter’s website. 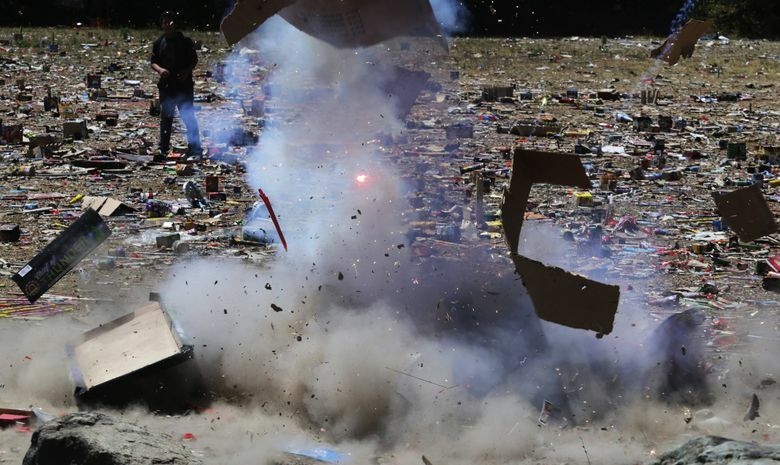 Firework explosions can also trigger combat veterans with post-traumatic stress disorder. Jesse Markman, the acting associate chief of staff for mental health at the Veteran’s Affairs Puget Sound Health Care System, said it’s important for the public to recognize the symptoms of PTSD, to better understand what veterans go through and how to mitigate the effect of fireworks. 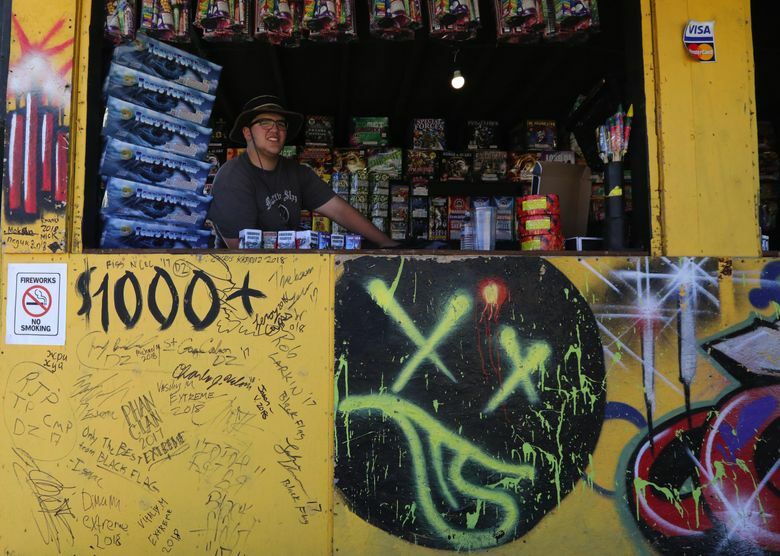 At the Muckleshoot reservation, Justin Jones, who has sold fireworks there for 10 years, said some longtime customers have stopped buying fireworks because — with so many cities enacting bans — they can no longer set them off at their own homes. “You can definitely feel it in your pockets,” he said. While some customers have been staying home, the booms are constant in the background. 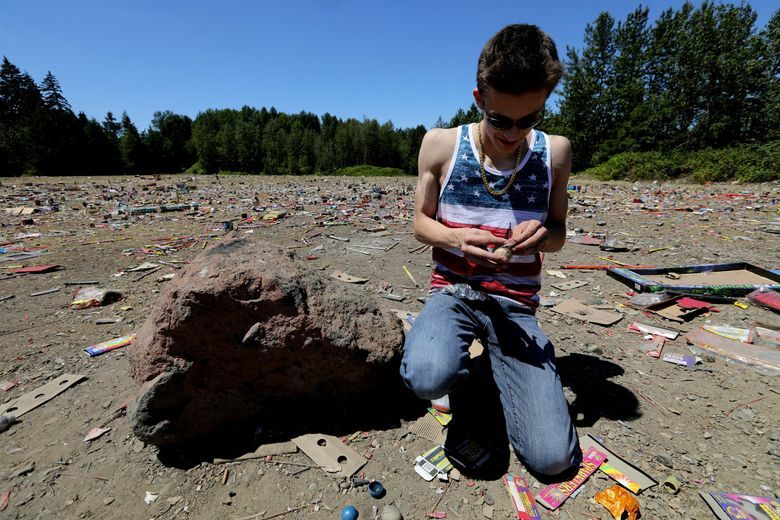 Zach Lupton, from California, took advantage of the reservation’s lax firework laws by lighting firecrackers. “You bring out your inner child when you get to blow stuff up,” he said.